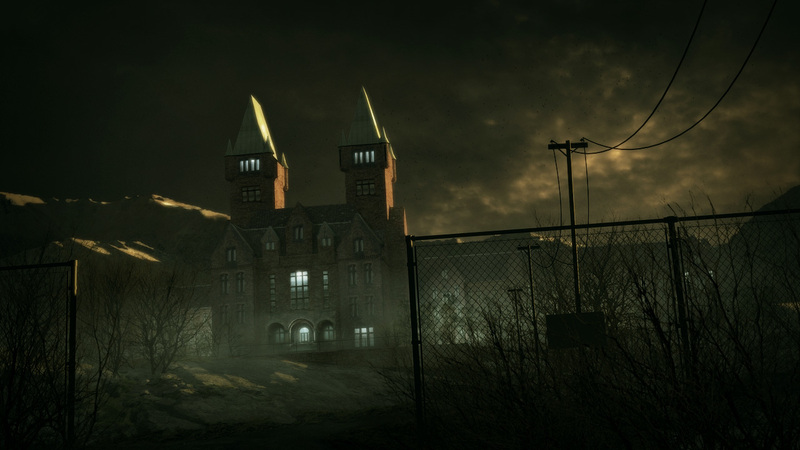 Acting on a hot lead from an inside source, Miles Upshur, an independent journalist, embarks to an old abandoned home for the mentally-ill in Colorado: Mount Massive Asylum. Taking the opportunity to get some dirt on the Murkoff Corporation who recently re-opened the asylum, Miles arms himself with his trusty night-vision camera – which thankfully takes AA batteries – and sets out to make a name for himself. 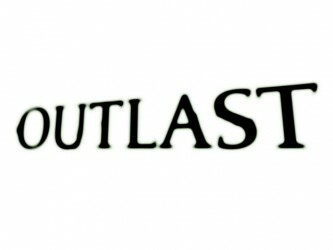 I began my playthrough of Outlast at Red Barrels’ PAX East Indie Mega Booth equipped with noise-cancelling headphones and confined in a dark closet. Cautiously, I probed the keyboard and mouse to silently exact control over Miles. Seeing what defense I had against potentially insane individuals and lamentably coming up mostly empty, I had no alternative other than move forward. Well, I could have also exited the booth, but then it wouldn’t have been much of a preview, would it? You start off as Miles Upshur in a first person perspective. You’re staring at a decidedly creepy, abandoned mansion of sorts. Hilariously, this mansion is SO abandoned that the contractors even abandoned the refurbishing, equipment and all. As an example of excellent gameplay design, Outlast does not throw tedious tutorials at you, instead they quickly introduce every concept you’ll need in the first few minutes of the game. The entrance is locked but you’re able to interact with it. Looking around the courtyard for some sort of hint reveals a ladder that goes up some scaffolding. You need to jump a gap onto another piece of scaffolding and then ultimately into a window. At this point, I’m on high-alert. I’ve played games in the past that allowed you to lean left of right but the only game that managed to make me consider it a valid control input was Amnesia. Which shouldn’t be a coincidence because Outlast seems to take some design cues from Amnesia, albeit with much greater levels of fidelity. 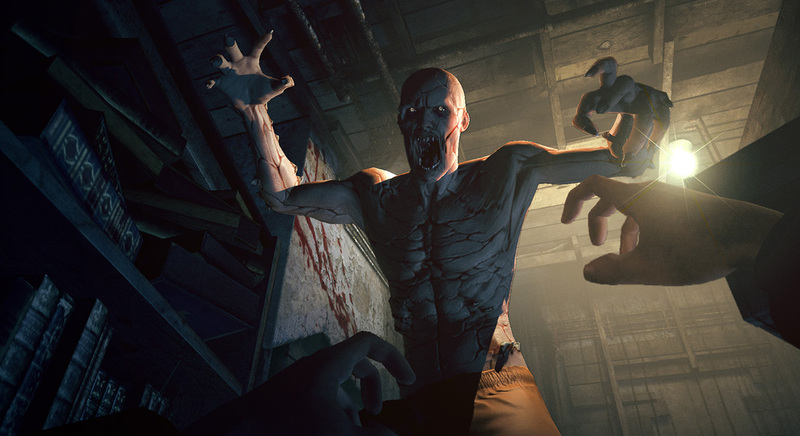 However, Outlast alters the formula a bit by giving you a device that acts both as a weapon and a shield. A night-vision camera. You see, on the surface, Outlast seems to leave you defenseless, but this is only true until you realize that the monster isn’t your real enemy, the darkness is. In some games you fight monsters with a gun, until you run out of bullets or you run out of monsters. 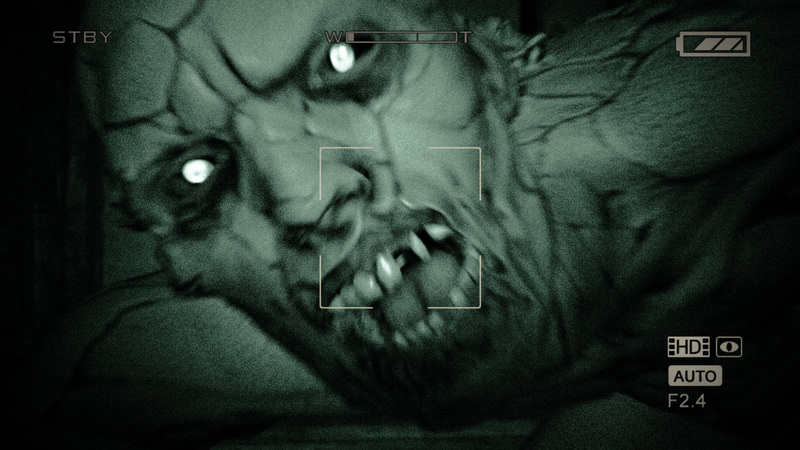 In Outlast you battle the darkness with a camera, and though you WILL run out of batteries, you will never run out of darkness. And therein lies the beautiful tug-of-war inherent with Outlast. During my brief time with the game, I exclusively used the camera in all dark rooms…until I realized my batteries were running out. Now you’re questioning the ‘value’ of using your camera which, let’s be honest here, is pretty effed up. As carefully as I can, I go deeper into Mount Massive where I discover that a platoon of what appear to be now headless SWAT agents scattered about some sort of mini library. You know, maybe I’m alone here but, if I see headless SWAT personnel littered about the floor, two things immediately enter my mind. 1.) Now might be a really good time to go out that window you came in from and 2.) Also scour the floor ASAP for some weaponry. Nope. Always the professional journalist, Miles Upshur must brave the ‘elements’ as he passes shelves filled with heads. Why is some psycho or group of psyc… what’s the collective noun for a group of psychos? I guess I’ll go with asylum of psychos. Anyhoo, why are they collecting heads as trophies? I apologize for the aside but seeing as I’m playing as investigative journalist I’m thinking I might need to document this jazz. Oh, they also totally pull a horror stunt in this room with the only non-decapitated person still in the room -not counting yourself, natch. I totally saw it coming, yet I still jumped. Oh! (again sorry for the aside) but they had two confined closets where people could play Outlast and I could totally feel the person next to me jump a few times. Just thought I’d mention that. Moving on, I’m now more than ready for an assortment of psychos to come screaming for my head. As I’m introduced to another mechanic of gameplay that will almost assuredly be used to frighten the bejesus out of everyone: the ‘shimmy’ mechanic. Essentially there is a narrow passageway and you need to squeeze super-slowly through to get to the other side. I’m quite positive they will use this to great effect. In fact, I’ve seen this done before in Condemned by Sega, another game that Outlast seems to draw some inspiration from. FINALLY, I make contact with a psycho, but he can’t see me because I’m behind stained glass. So apparently it’s just one psycho that took out a fleet of SWAT members. Awesome. I hide behind the nearest desk and peek out, Miles breathing heavier as he does so, which does a bang-up job of REALLY cranking up my anxiety levels. Seeing an all clear, I hightail it out of there and see another narrow passage to squeeze through. NO PROBLEM! Only now the Psycho has me and flings me through a window where I land one story below. The rest of the story has me running for my life through a dark, tight basement setting with a water leak problem. I hide in a locker to avoid the psycho/monster who threw me through the glass whilst waiting for the perfect time to jet. From there I make a mad dash through a room desperately looking for the next exit and I see a door that leads to an air vent. I hop the vent and make my way to another door. Upon opening the next door I’m confronted with the monster who hoists me up in the air and removes my body from my head. Remember, this is a FPS. I am literally looking at my body in his other hand. For a game that has only seen twelve months of production, it’s extremely well done. From the polish it already shows to the amazingly fast method of teaching people how to play without a tutorial shows that Red Barrels knows a thing or two about making games. I eagerly await it’s release.